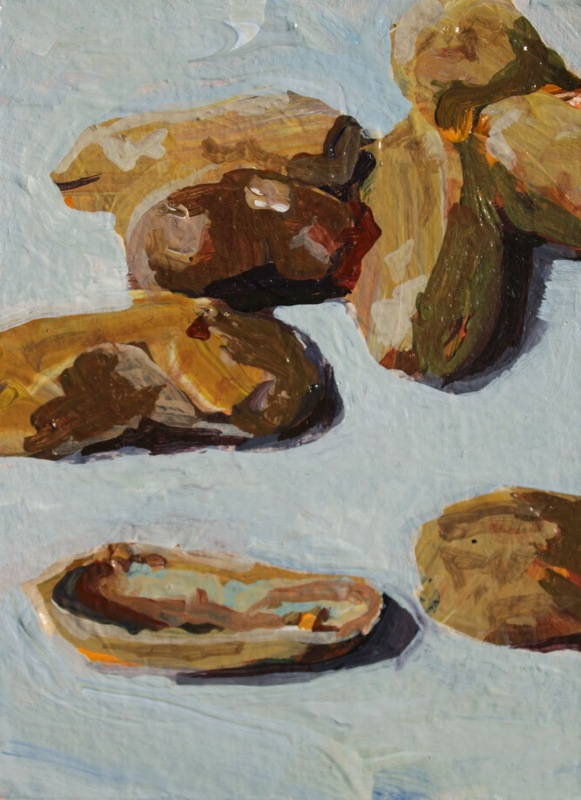 Peanut shells have interesting forms and are fun to paint. If you're wondering what happened to the peanut in the foreground- I ate it! I focused upon capturing the larger shapes and ignored the finer details. This allowed me to use bolder brushstrokes. I enjoyed using colors that aren't actually there, such as the little bits of orange and turqoise in the foreground shell.